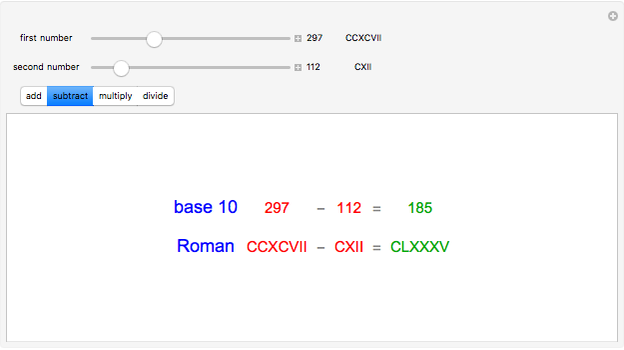 This Demonstration is a basic four-function calculator for Roman numerals. 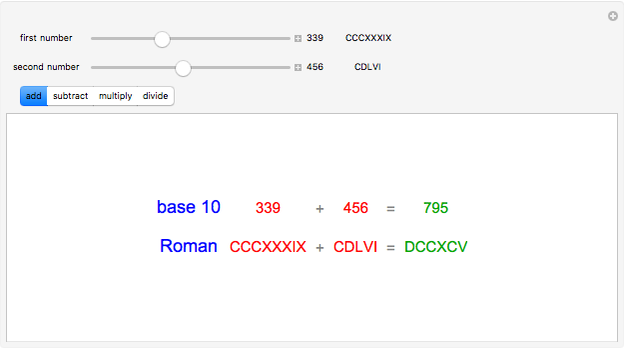 Since Roman numerals do not have decimals, division drops the fractional part, so that 7&div;3 gives 2 and II instead of 2.333…. 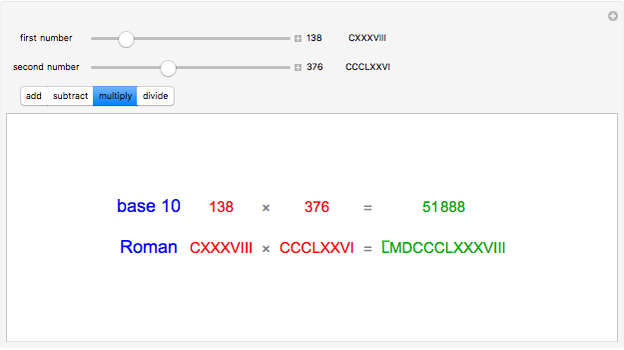 Mario Guzman "Roman Numeral Calculator"